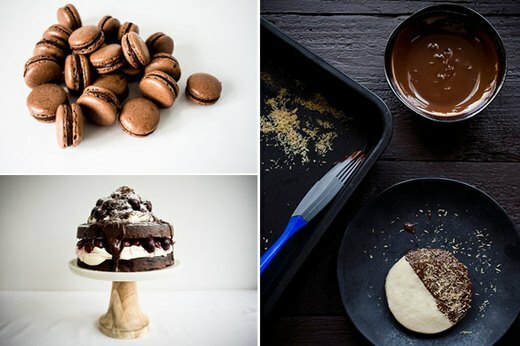 “Chocolate” often has a double meaning: it refers to the food itself, but it also hints at an excuse to enjoy it. Drinking hot chocolate while curled up in a warm blanket. Biting into a slice of chocolate cake after a long day. 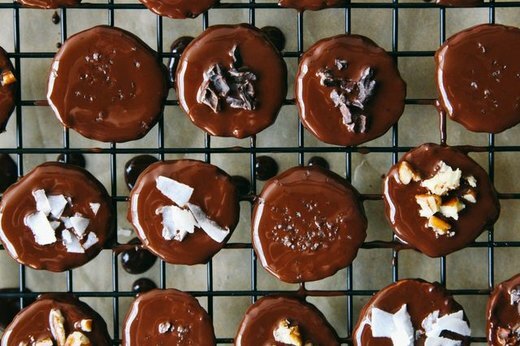 Since this is the type of sweet that fits so well into a wider narrative, these chocolate-covered recipes satisfy a variety of situations. In a perfect dating game, you would know right away if a crush shared your feelings. 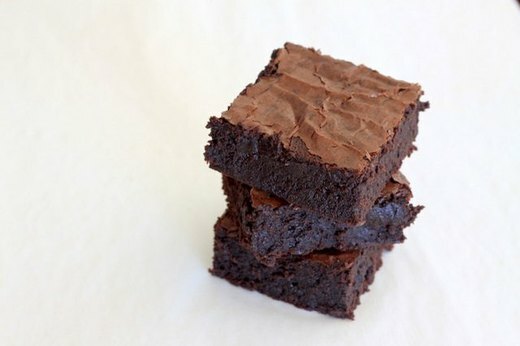 But since it's never that easy, make the first move with these confident, classic brownies. They're way more promising than matching astrological signs. 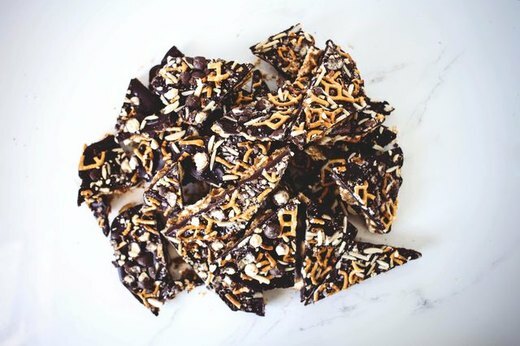 Before you settle on toting the same chips and dip to your next shindig, serve this recipe for sweet and salty chocolate bark instead. Partygoers can still take what they want, but no one will think of this dish as ordinary. When the end of the week finally arrives, it's definitely a cause for celebration. 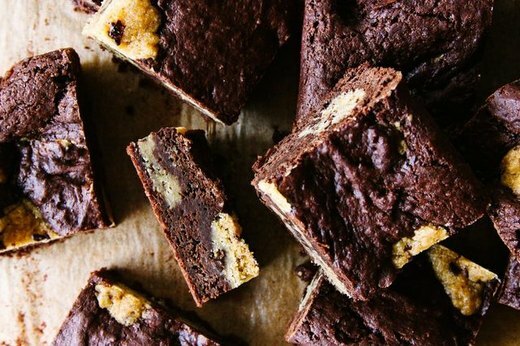 Welcome the weekend with a plate of these chocolate chip cookie dough brownies, and revel in a cozy Friday night in. A true friend doesn't let another wallow alone, and when your pal is in a rough spot, make her feel better with these all-in-one cups. Peanut butter, chocolate, and pretzels comprise this dessert, which means that one bite will put a smile on her face. Exercising regularly is no easy feat, and there are occasions when you crave more than a protein shake after finishing a routine. 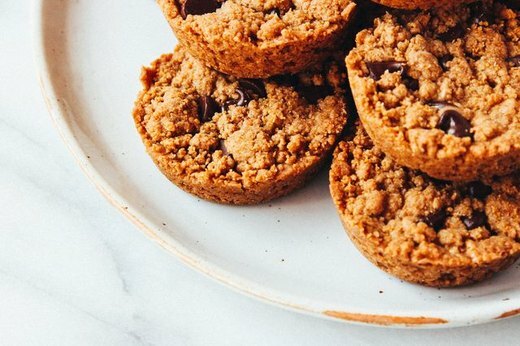 Opt for dark chocolate banana bites during those moments when you want to eat healthy, but you're fine with cheating on your diet a little. The last day of the weekend calls for minimal stress, and that includes time spent in the kitchen. 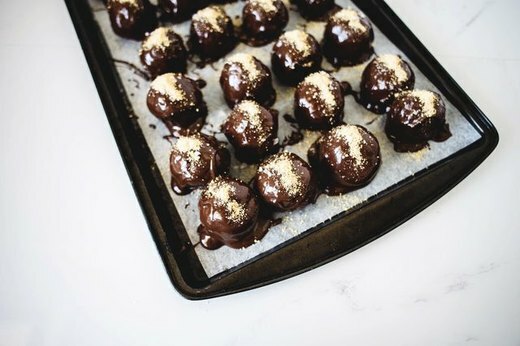 These no-bake chocolate peanut butter balls are the perfect snack to mix together when you feel like doing absolutely nothing -- or, at least, very close to it. As you know, presents are always more sentimental when they have a personal touch. 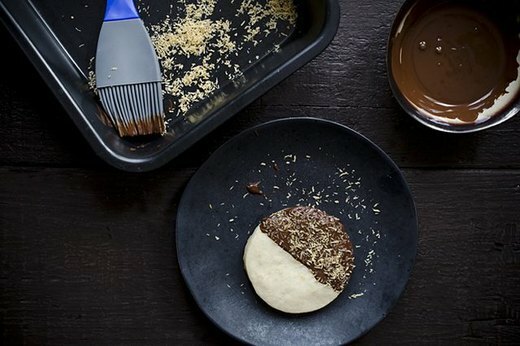 Wrap these pretty and delicious chocolate shortbread cookies in shiny paper, and the recipient is bound to feel special. There's usually a certain time each week when you are glued to the screen, and nothing can trump a good cliffhanger more than a rich dessert. 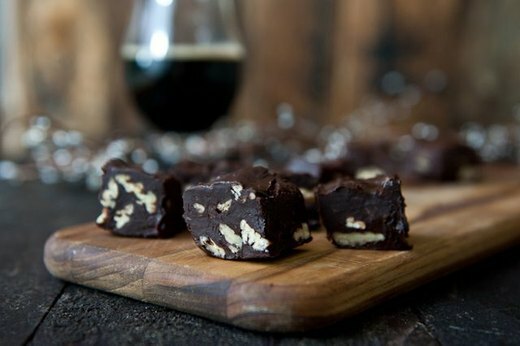 Put this stout chocolate fudge together during a commercial break, and don't be surprised if it becomes your new series regular. It's normal for dinner party guests to think that the big reveal of the evening happened when the main entrée was served. But dessert can steal the spotlight, especially if these chocolate shot glasses are on display. 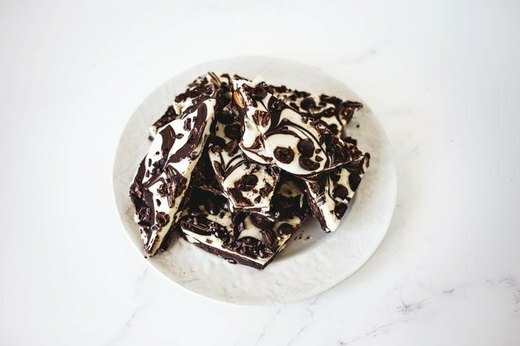 Coffee pots and office supplies are a given, but this marbled chocolate bark is something your work colleagues will really want to share. The best part of this employee benefit? It'll be a welcome addition to the communal kitchen any day of the week. 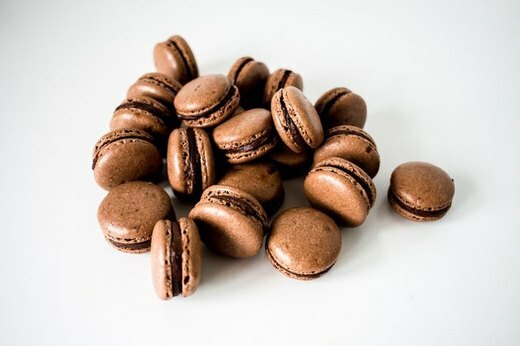 If you have a friend who has pictures of the Eiffel Tower framed in her home and says "croissant" with a certain emphasis, then these chocolate macarons will be an appropriate dessert to make as a surprise. But even friends who don't have the same affection for French culture will fall in love with these. During those instances when it feels like all aspects of your life are in sync, you can feel like you've really hit the jackpot with these s'mores cake ball truffles. The mix of devil's food cake and marshmallow is worthwhile on its own, but the fact that you could also give some to the people who helped you get to the top makes it even better. Dinner and a movie can still be a fun option for a couple, but this black forest cake recipe is a blockbuster idea that takes "date night" to another level. Create this masterpiece for an anniversary, or for Valentine's Day, and your main squeeze will be counting his or her blessings. An ugly argument, a parking ticket, or a bad review: there are endless ways for a day to turn sour. Lick your wounds, and the bottom of your plate, when you make this Nutella crepe cake the star of your pity party. When you've had enough to eat, you'll be ready to start over. Maybe you're too old to make a fort in your living room or pretend that the floor is actually lava. 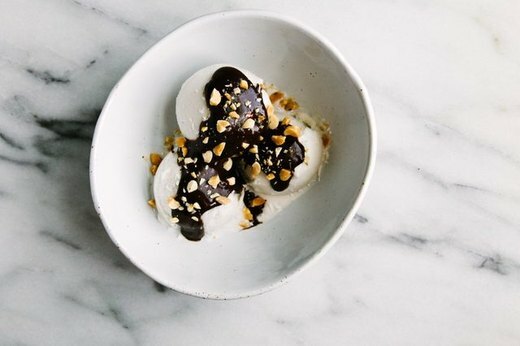 But when you want to feel like a kid again, this vegan vanilla bean hot fudge recipe can make it happen. And unlike your younger days, you can definitely go for seconds.